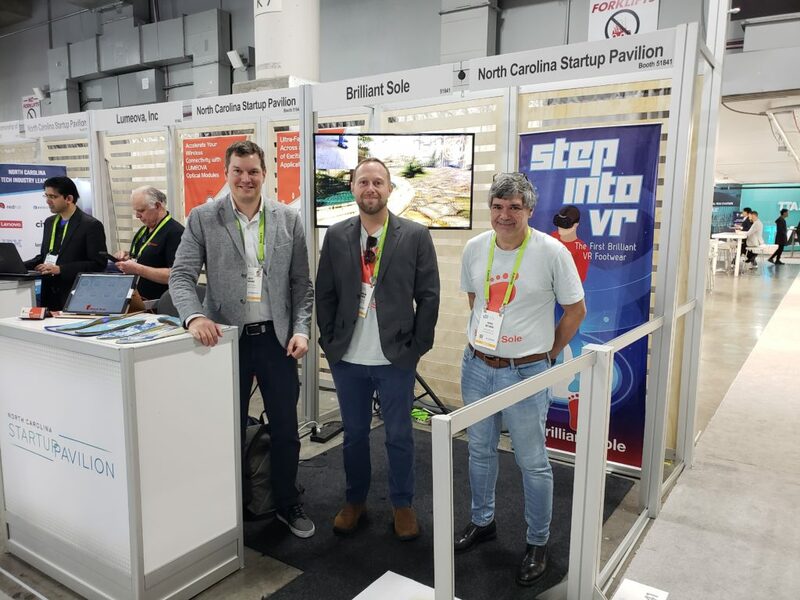 Founded in the summer of 2016, Wilmington, NC-based Brilliant Sole is an innovative startup focused on merging footwear and virtual reality (VR). The idea is to put your feet into VR. At CES 2019, Brilliant Sole’s Founder and CEO Jeff Guard said the company is around five to six months away from releasing a dev kit that will enable developers to work with the technology. Target customers include VR developers and video gamer creators. Brilliant Sole currently has proven hardware and multiple SDKs that work. 2018 © Brilliant Sole, Inc. All Rights Reserved. Sign-up now - don't miss our launch!